Now WhatsApp app has downloaded 1 billion means 1 billion users. The people are using WhatsApp for chatting and sharing thoughts, images videos and songs on that messenger. When the Facebook bought the WhatsApp messenger, a lot of improvements has occurred on that app. Lots of new features are introduced recently like bold italic and stick through text style, voice calling features , added a different style of font, link preview and the end to end encryptions added on WhatsApp messenger by mark Zuckerberg. After buying WhatsApp, lots of changes and improvements were done on this but security also improved added end to end encryptions feature on the app. 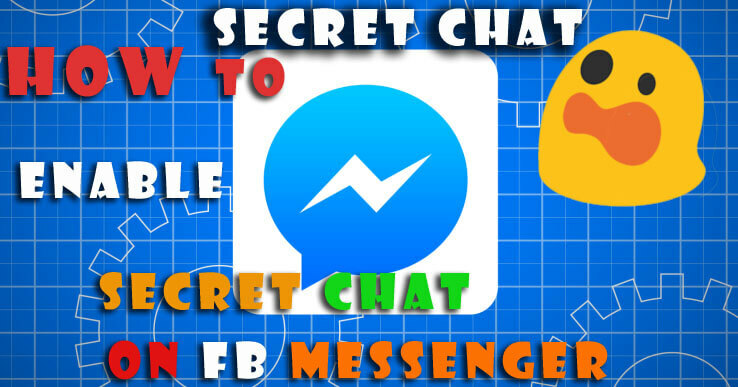 2 What is the secret conversation on Facebook messenger? Facebook also decided to make Facebook more trustable and user-friendly, so it has added the end to end encryptions on its new version of Facebook messenger. Yes you heard right, now you can start talking with your friends with secretly, No one able to read or access your messages even Facebook will not able to access your conversation, so it has lots of benefits for those who don’t want to share their messages with public but end to end encryptions feature has disadvantages like criminal can use this method for dealing with illegal work. And the Facebook will not able to track user behavior on a secret conversation. The best thing about the secret conversation on Facebook is your conversation will automatically delete after 24 hours. You can also choose a time for deleting/ erasing conversation history in secret mode. 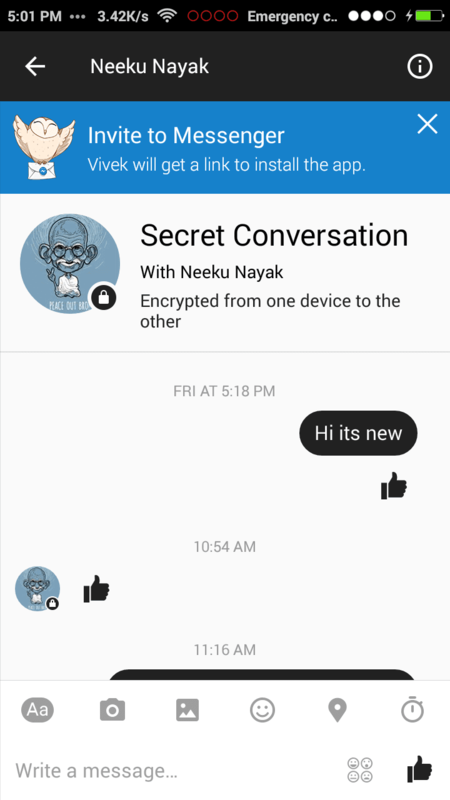 What is the secret conversation on Facebook messenger? 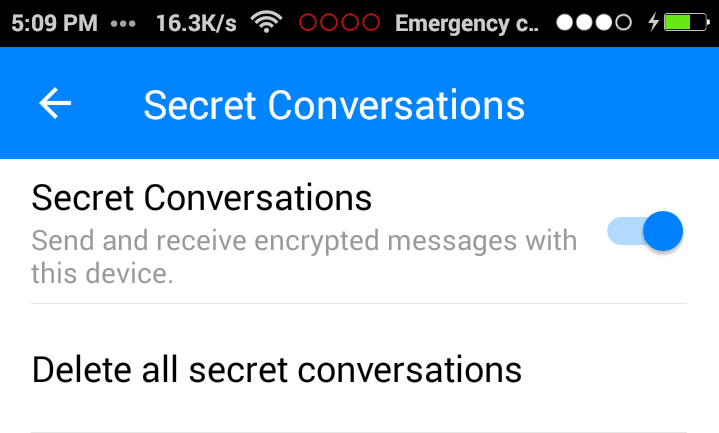 In the case of a Facebook Messenger, the secret communication is a type of security which is having an end to end encryptions means whenever you will chat with your Friend, and the chat will be staying in your device and your Friend device another one can’t access or see that conversation. Whenever you start chatting with your friends secretly, a different type of conversation tab will pop on the chat home screen in the black mode. The tab will be different from the usual chatting tabs. Sometimes you will get an error by using this trick because the features are still on beta version and developers and users are testing this features. When you will use this features you may get errors while sending SMS to your friends. Also, the best thing about this features is your chat will not show on the computer. 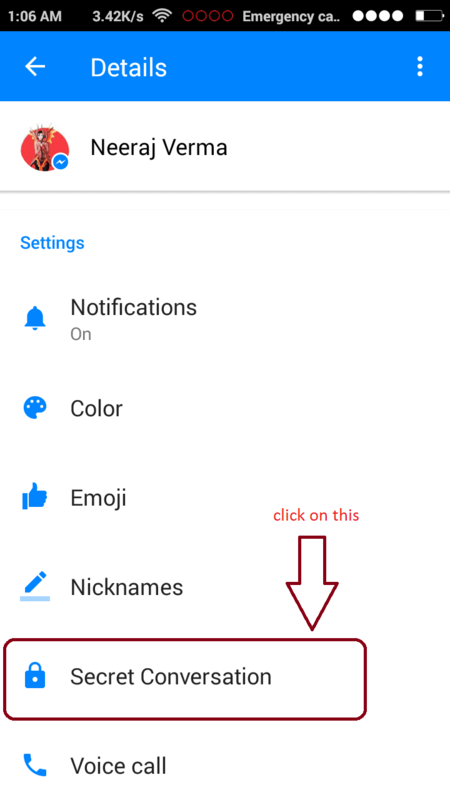 Like normal chat conversation you can chat with your friends, you can send messages, do reply, send images/pictures, share stickers but can’t send gif images and videos also can’t do calls on secret conversation mode. 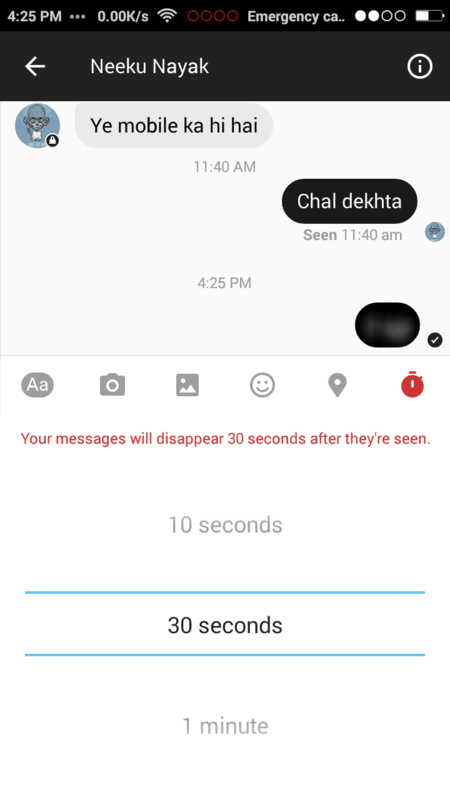 You can set the time limit for deletion of conversation after sending to your friends . The time limit starts from 5 seconds up to a day after reading your Friend message.